1. Be sure you have enabled the Office 365 integration, located inside your user(s) profile. If it is not enabled, refer to the how to Setup Office 365 integration FAQ. 2. 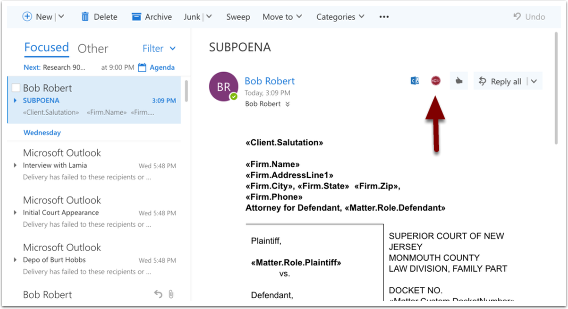 While viewing your Outlook emails online, click on the 'Settings' icon on the right-hand side. 3. Click and select 'Manage Add-Ins'. 4. Using the search bar in top-right corner, enter and select 'Rocket Matter'. 5. 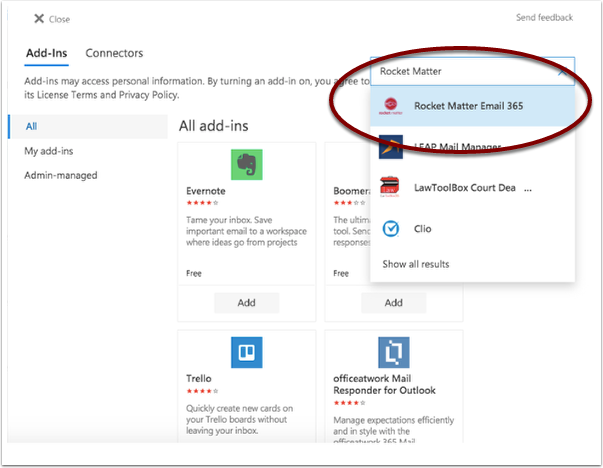 Click on the blue 'Add' the Outlook email integration to Rocket Matter. 6. Now that the add-in is successfully added, click 'Close' to return to your emails. 7. 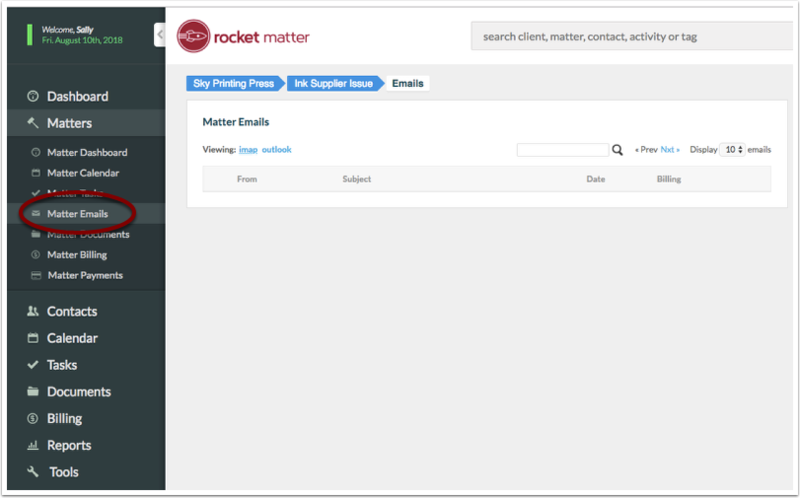 Now while viewing your emails, you'll notice Rocket Matter's logo at the top of every email. 8. 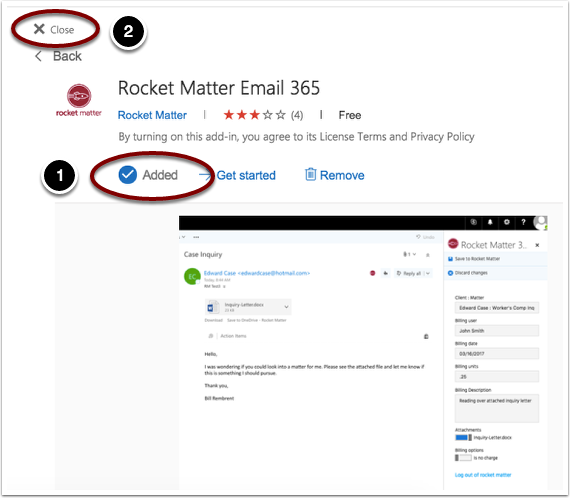 Click on the red rocket matter logo and enter your Rocket Matter username and password. Click on 'Login' when finished. 9. If you haven't already, you'll be prompted to sync your contacts or calendar events. If you do not wish to sync your contacts or calendar, simply click 'Configure Now'. 10. 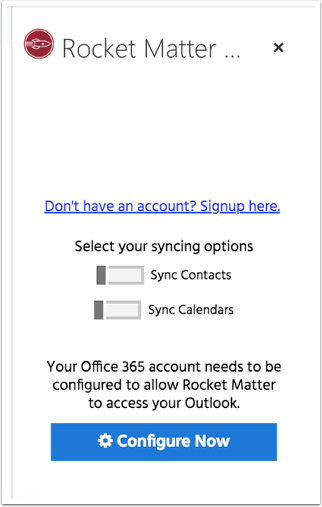 Now that you've logged in, select the email you'd like to sync over to Rocket Matter. 11. 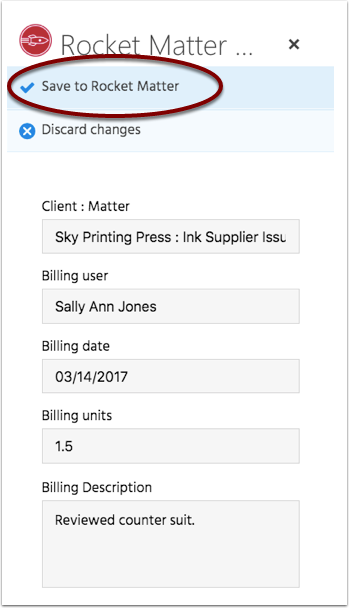 In the sharing window to the right of the email, insert the client:matter, billing user and additional time capture information. Click to include the selected attachments if applicable. Be sure to click ‘Save to Rocket Matter’ at the top when finished. 12. 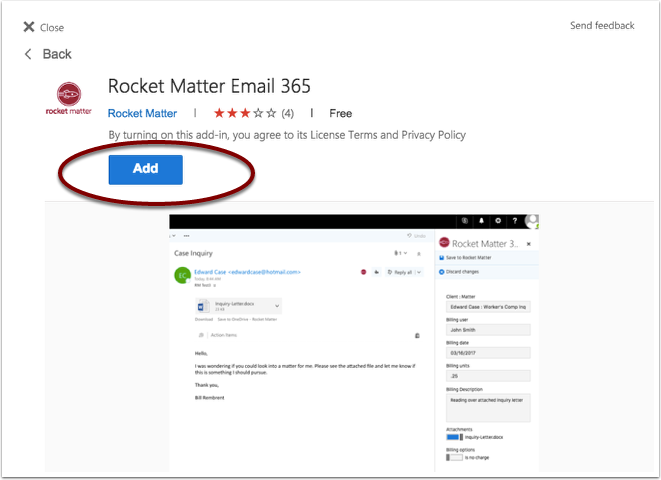 After clicking 'Save to Rocket Matter' you'll quickly notice a check mark indicating that this email has successfully been sent to Rocket Matter. 13. 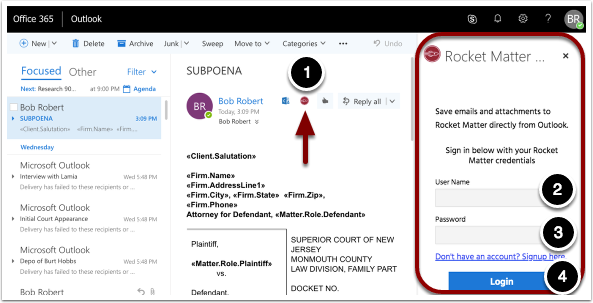 To see your saved email, navigate to the matter in Rocket Matter and click on ‘Matter Emails’ located in the left-hand panel. 14. Your view will default to view emails from the imap integration. Click on 'Outlook' to view all of your emails. 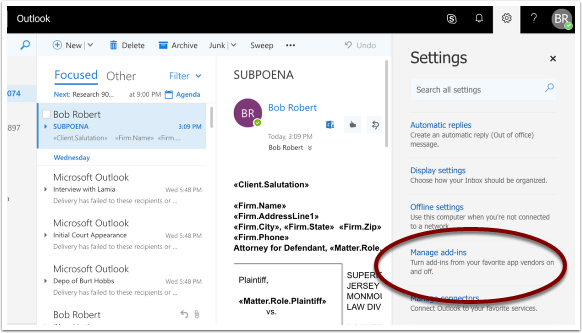 Utilize the 'Filter Users' section on the right to filter the emails. Note: If you don't see the matter emails for a user, click on the username in the right-hand column. 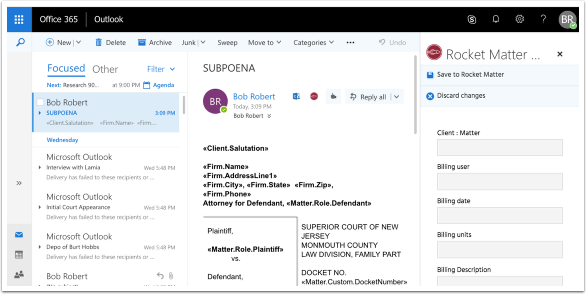 Prev: How to enable and use Document Versioning with the Office 365 Word Integration.